and here’s where it gets love-triangely: Egeus wants Demetrius to marry his daughter Hermia, but she loves Lysander, who loves her back. Hermia’s bee-ef-ef Helena is in love with Demetrius, who ignores her. To avoid Athenian law Lysander and Hermia decide to meet in the forest, so they can run off to his aunt and elope. Unfortunately for them, Helena decides to betray her bestie to Demetrius, in hope he’ll love her for it. The second storyline contains an amateur theatre company, who wants to rehearse ‘The Most Lamentable Comedy, and Most Cruel Death, of Pyramus and Thisby’. They want to practice far from curious eyes, so they decide to meet up… in the forest. The last storyline is about an ongoing discussion between Oberon and Titania, king and queen of the fairies. Titania has taken a changeling boy under her protection when his mortal mother died, but Oberon desires him to be his henchman. 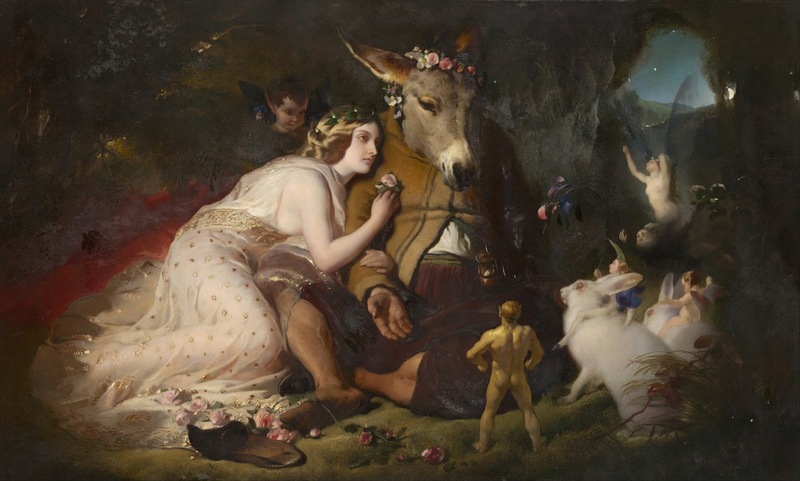 Titania stubbornly refuses, so Oberon decides to trick her with help from his servant Robin, a puck. Of course, this all happens in the forest as well. Compared to the other plays I’ve read so far, this is a totally different genre. It’s more light-hearted, with a happy ending in which no one dies (pretend-dying doesn’t count!). I can’t even pinpoint if there’s a focus on a single emotion, so my theory about Shakespearean plays being about one emotion can be thrown out of the window. It was such a pleasant read that I almost felt like I was reading the script for a kid’s TV show, except that there was little morale and the fact that no one can come up with such a good episode. I don’t know if Shakespeare wrote any other plays like this one, but if he did, point them my way!